This is the most fabulous thing I’ve seen you write. With that I bid you goodnight. This is the only meal with no side effect,a must meal for all.God bless you friend. I love love love this😍. Can I do a repost next month? This is an interesting piece. I like it. Well done. Yup. Despite how I write, this is true too! The meal must be very delicious. You are a great cook, Poet and Love seems to be your perfect recipe! So very beautiful. Should be a staple in every home, memorized and passed down to each generation. Touched. Lovely one there. And thought provoking. We all need to have a life full of Love. Showing Love helps too. Reminds me of something! Outside my home there are 5 fruits, but there is only one good one. I was going to another church before, but idk why people acted so weird while I was there! As if I knew random bloggers names or something. They made me feel very unwanted and unwelcome. Although i tended to the things I could and helped while i was with them. They treated me so weird! I did not like that. I was very upset. And asked God to bring them justice. There was this one guy who was very mean to me. He would say such rude things to me, like I didnt have a soul mate, or something like he knew what God wanted for me? Hahaha. They made me feel so strange. As if I knew random bloggers names. They never told me a thing. It was very upsetting. I was going to this one church. But God told me, it was Egypt. He brought me out of there with such force. With an outstretched arm did He tell me to kill them. As they had made me cry. Question my sanity. And made me feel like there was something wrong with me. They doubted i knew Jesus! They persecuted me in my faith. For believing God had good plans for me. They made me feel like… i was abnormal for not working. For not finishing college and not going back. While God had told me to write. Who am I to question the one God? He said to write, that is what I did. They treated me as if I knew random bloggers names, they made me feel insane. If they do not tell me, bad things will happen to them. I warned this one guy, but I dont know if he heard me. That God was very upset. That they hurt me. Because so obviously, I was no such enemy. They just never got to know me. This is so nice and makes me smile as I read it over, twice might I add! Warms the heart for sure. A delicious recipe! Thank you for sharing! Nice one bro! Keep it up.. This is the cutest and best that I have seen. Made me think how I cook mine… ❤️❤️❤️😊👌🏻👍🏻💕👏🏻keep that hard loving work coming. Can’t wait to read more…. I love this one, put a smile on my face on a sleepless night. What an excellent recipe! Must try this one out. You are a Romantic Chef! Love it! This tastes divine. 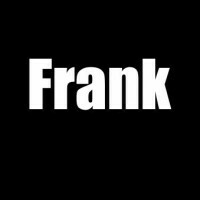 One of my favourites Frank! A little chopped romance sprinkled on top …? That WOULD make all the difference! quite a difficult recipe to try but it is worth it!